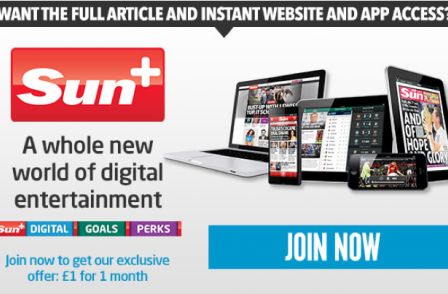 The Mirror Online and Daily Star website are hoping to attract tens of millions of new website readers as their rival, The Sun, starts charging for online content. 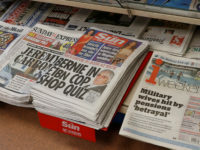 Sun editor David Dinsmore this week suggested the title would not be going behind a paywall if it wasn’t confident of success and said he would like to emulate the achievements of other News UK titles. 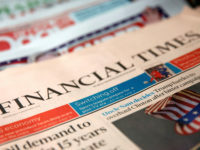 “I think The Times is a good example of why we are doing this,” he said on BBC Radio 4's The Media Show. “So The Times… was the first newspaper in the UK to do this… in 2010. Circulation today, on aggregate, digital and print, is greater now than it was then. Meanwhile, as The Sun+ rose today, its tabloid rivals began to target readers it hoped would be unwilling to pay for the UK’s best-selling print newspaper. Trinity Mirror chief executive Simon Fox told Press Gazette: “The Sun had 30-odd million monthly uniques. 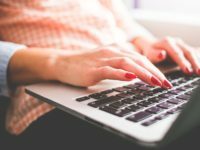 “If 10 per cent pay for access, which I think they would consider a good result, that leaves a lot of unique users. “We would very much hope they would choose to come to the Mirror and we will be very focused on welcoming them to our website. 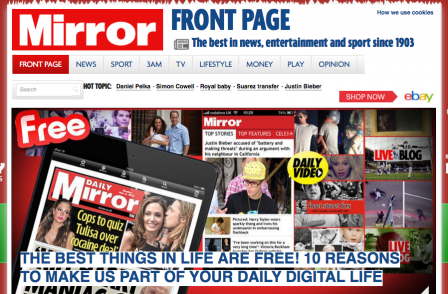 At just past midnight on 1 August, the Mirror Online posted an article, headlined “The best things in life are free!”, which provided ten reasons “why you should save your cash for more important things than paywalls”. It said: “We’re so proud of our brilliant websites, apps and e-editions that we couldn’t bear to hide them behind a paywall. “And because we know that money’s tight for everyone right now, we wouldn’t dream of asking you to put aside over £100 a year to access our content. Meanwhile, the Daily Star, which recently relaunched its website, started the Twitter hashtag #newsisfree last night. It tweeted: “Some papers charge for news, sport and perks. We don’t." Last month, Daily Star Sunday editor Gareth Morgan was made head of digital to guide Express Newspapers’ “transition from print-focused operation to a combined digital and print newsroom”.